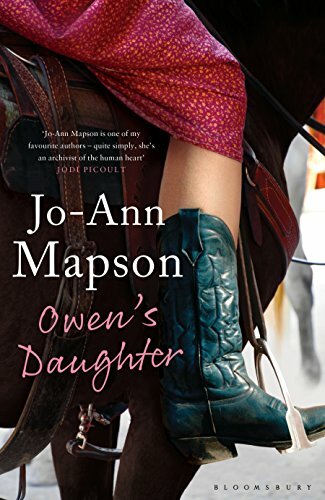 Readers of “Owen’s Daughter” by Jo-Ann Mapson, will recognize the characters created in her previous works, “Solomon’s Oak,” “Finding Casey,” and “Blue Rodeo.” In fact, I was very happy to have the opportunity to continue reading the stories of these beloved characters, who now seem like old friends. “Owen’s Daughter” tells a story of difficult family relationships, addictions, historical family connections, unexpected health problems in middle age and shocking family secrets, as well as the redemption that can come about through forgiveness and generosity of spirit, with a little bit of magic thrown in for good measure. Santa Fe residents will recognize many Santa Fe places, situations, and attitudes that are sometimes attractive and sometimes not! Mapson’s writing is plain-spoken, truthful, and always hopeful. I recommend this newest book for Mapson fans and for newcomers to her writing as well. Jo-Ann Mapson lives in Santa Fe, New Mexico. For more new titles in our collection, please visit the “New in Southwest” webpage.